Taco Two-sday Birthday Outfit. 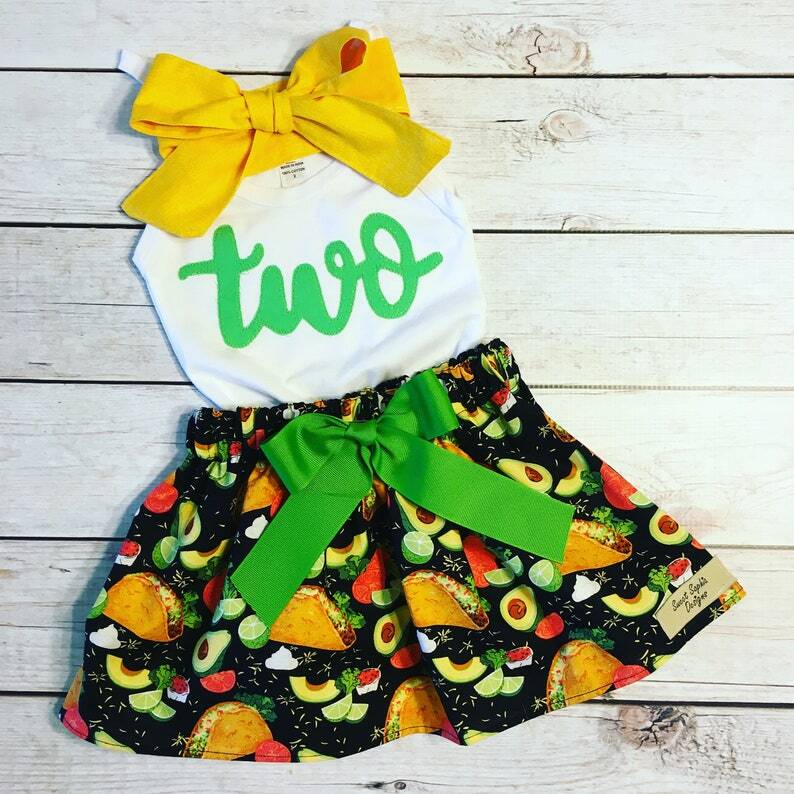 Two piece set includes top and skirt. This shop was truly amazing! After talking with the shop owner about sizes I ordered what I thought was the correct size. When I received my product, it was very small for my daughter. I contacted the shop explaining the issue and she was very helpful. She is making another shirt for me and sending it ASAP!! Perfect for my daughter’s birthday!! I received many compliments on the look and quality. 5 stars!